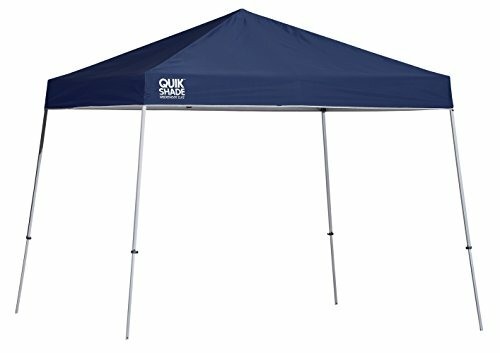 Whether you're setting up for a backyard party, tailgating at a sports event, or simply relaxing on the beach, the Quik Shade Weekender Elite WE144 12-Foot x 12-Foot Instant Canopy provides quick, easy shade and shelter for almost any activity. 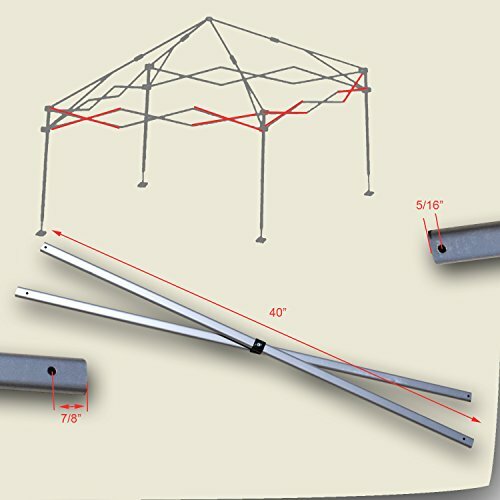 Designed for the outdoors, this canopy pops up wherever you need it in less than a minute - without the need for any tools. The UV-resistant top is Aluminex-backed, providing 99% UV protection from the sun's harmful rays. It's the highest outdoor fabric UV protection available! The straight leg design provides additional stability, with patented Quik Latch push/pull sliders and pushpin leg extenders designed for ease of use. The 12-foot x 12-foot canopy top provides a total of 144 square feet of shade for 10-14 people - enough for the whole family to comfortably take shelter! This canopy has an open cathedral ceiling for more headroom, with a peak height of 10 feet 10 inches and an eave clearance of 6 feet 8 inches. Take it anywhere in the durable, polyester roller bag for your next outdoor event! Includes canopy frame, canopy top, carry bag, and 4 steel stabilizing ground stakes; 1-year limited warranty. Whether you're setting up for a backyard party, tailgating at a sports event, or simply relaxing on the beach, the Quik Shade Weekender Elite WE100 10-Foot x 10-Foot Instant Canopy provides quick, easy shade and shelter for almost any activity. 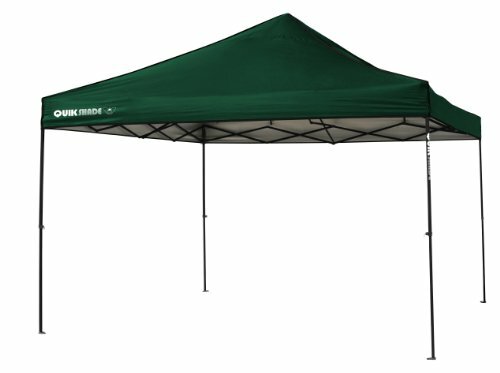 Designed for the outdoors, this canopy pops up wherever you need it in less than a minute - without the need for any tools. The UV-resistant top is Aluminex-backed, providing 99% UV protection from the sun's harmful rays. It's the highest outdoor fabric UV protection available! The straight leg design provides additional stability, with patented Quik Latch push/pull sliders and pushpin leg extenders designed for ease of use. The 10-foot x 10-foot canopy top provides a total of 100 square feet of shade for 8-12 people - enough for the whole family to comfortably take shelter! This canopy has an open cathedral ceiling for more headroom, with a peak height of 9 feet 11 inches and an eave clearance of 6 feet 6 inches. Take it anywhere in the durable, polyester roller bag for your next outdoor event! Includes canopy frame, canopy top, carry bag, and 4 steel stabilizing ground stakes; 1-year limited warranty. 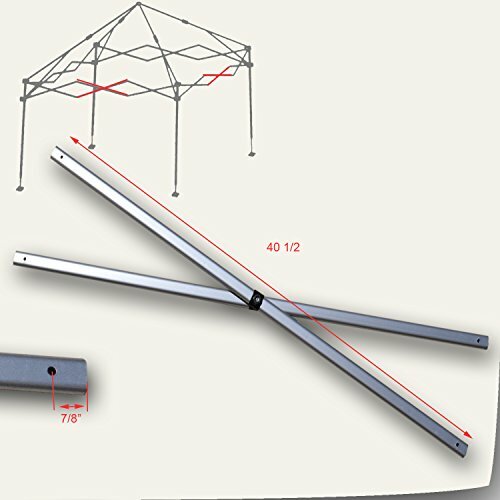 Included: Metal ONE ( X ) TRUSS Bar Set (Exactly as shown in picture) No other parts Included. 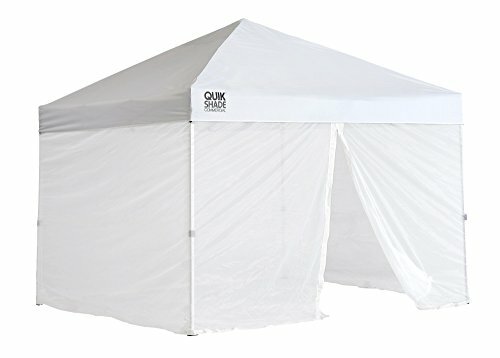 For Quik Shade Weekender Elite 10'x10' Straight Leg Instant Canopy or any brand have same dimensions and specification PLEASE NOTE: This truss does Not attach to the Corners. It attaches on the Middle as shown in picture. 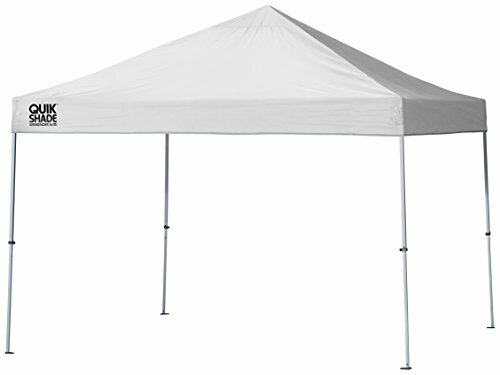 Dimensions: 40 1/2" x 15/16" x 1/2"
Are you looking for some extra wind protection or privacy for your Quik Shade Instant Canopy? 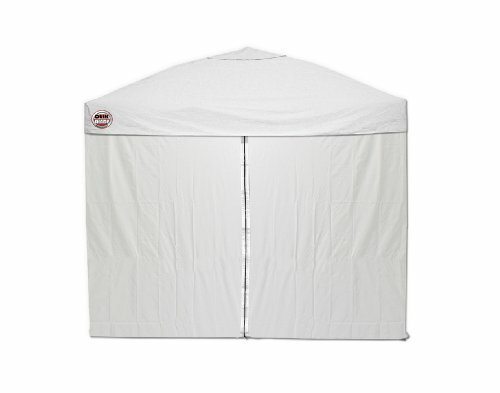 The Quik Shade 10-Foot x 10-Foot Instant Canopy Wall Panel Set is the perfect accessory. The included 3 wall panels and 1 zipper-entry panel offer additional UV protection, water resistance, and cooler shade area for your outdoor activities. Each wall panel attaches easily to the canopy frame with hook and loop fasteners and don't require any tools to set up. This wall panel set fits your Commercial 100, Weekender 100, or Summit 100 canopy to provide the added shade and protection you need for your activities. The zipper-entry panel allows easy access in and out of your canopy, so you can focus on the fun. Includes 3 wall panels and 1 zipper-entry wall panel; 1-year limited warranty. Included: Metal - ONE ( X ) TRUSS Bar Set (Exactly as shown in picture) No other parts Included. 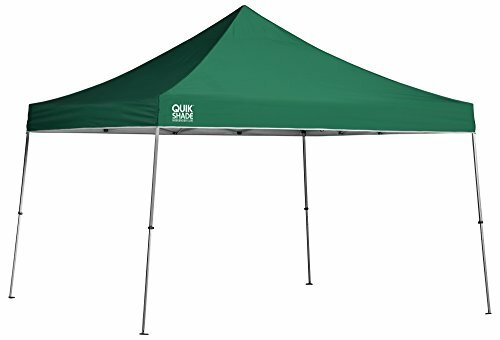 For Quik Shade Weekender Elite 12'x12' Straight Leg Instant Canopy WE100 or any brand have same dimensions and specification PLEASE NOTE: This truss does Not attach to the Middle. It attaches on the corners as shown in picture. Dimensions: 40" x 15/16" x 1/2"
Looking for more Weekender Canopy similar ideas? Try to explore these searches: S&S Worldwide Color Splash, Ongossamer Mesh Contour Bra, and Handkerchief Doll Pattern. Quick Shade Weekender 12 by 12 canopy.